Frequently on my blog & Instagram I like to share about causes or values that are important to me. This year I’ve been on a personal journey towards better mental and physical health, feeling like I’m finally figuring out what I’m doing with respect to my career, and enjoying getting more involved with the community around me! That community largely tends to be female oriented, often comprised of other business owners like myself. When the conscious investing platform, COIN, asked me to share why I’m passionate about gender equality and other causes that are important to me, I was excited for the chance to add to that conversation! This post is in partnership with COIN but all opinions are my own. 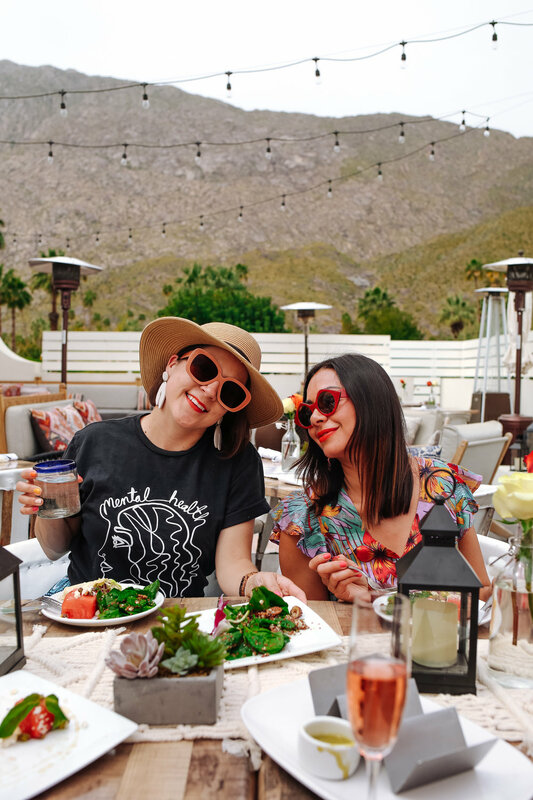 When it comes to being the badass ladies we strive to be (whether that is at home, at work, or in our relationships), there are some road blocks & recurrent patterns I see in women around me that keep resurfacing. In order to be the best versions of ourselves and the best version of our gender in the future, I have a few ideas for us! - I can’t right now, but keep me in mind for next time/when you have a budget/etc. -skip the explanation all together. I’m working on not over-splaining all the time. It’s ok to just say sorry I can’t help! The last time I had a corporate job (in speech-language pathology at a nursing home), I was one of about 3 people who actually got a raise when our company changed owners. The main reason is because I simply asked for it! Some people just took the salary they were given (and then later complained about it). I also asked if I could stop wearing scrubs to work at that job because I knew I would feel better in my real clothes; all black scrubs were seriously bringing me down no matter how much jewelry I wore. If I hadn’t asked for that, I am pretty confident my boss would not have said “Hey Liz, what can I do to make you happier at work?” and I would have remained in sad in scrubs. There seems to be a lot of fear that holds people back from asking for what they want, especially for the women I know. What are you truly afraid of that is holding you back from making the ask? If the answer is that you’re afraid of being turned down, well at least if you ask you might have a shot at getting what you want (as opposed to not saying anything and definitely not getting it)! (in your local and state government, your finances, and your community)! The more we educate ourselves and play an active role in decision making about our future, the better off we are going to be- especially when it comes to finances. I am certainly guilty of not having an active role in financial planning, both in our home and in my business. It wasn’t until recently that I began paying attention to my Profit & Loss statement & other financial aspects of my business. I’m lucky to have a husband who doubles as my accountant, but I was really just selling myself short to not have a better grasp on those details of my business and educate myself accordingly. If you aren’t paying attention to your savings and planning for the future, today is a great time to start! I like the idea of COIN because you can “invest with impact” by actually investing in companies that are making a difference in the areas that matter to you. If you’re passionate about clean water or better health, you can invest with companies that promote those causes! Use promo code COIN2019 to receive $50 when you invest your first $100 at www.investwithcoin.com. We also need to get involved in our communities by understanding who our local officials are. If you are like me and sadly just have no interest in watching the news, find other ways to get involved in politics. Check out a city council meeting or gather with a group of your neighbors and have everyone share their concerns and find ways to make a difference in the neighborhood. It truly drives me crazy to hear people complain about this or that but then learn they didn’t vote or take any action to find a solution. If we are passionate about gender equality, what do we plan to do about it? No cooking for me, I’d rather be a “lady who lunches”! I may not be a “traditional” feminist; I don’t really feel oppressed and haven’t really experienced that. However, I hope to encourage other women to keep using your voices in any way that matters to you and to take responsibility for getting the future you want. Don’t forget to use promo code COIN2019 to receive $50 when you invest your first $100 at www.investwithcoin.com, so you can start investing in companies that support the causes you care about! All images c/o Dazey LA, a “slow fashion” female run clothing brand I think you’ll love as well! 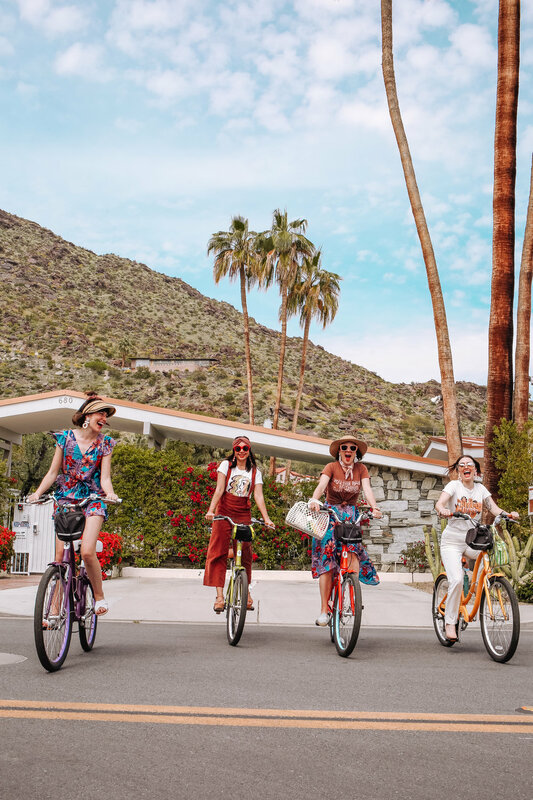 Shoot location: Azucar Palm Springs // Bikes: Bike Palm Springs // Click here to shop the looks from this post.